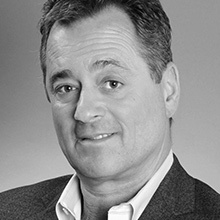 Mike Feibus (pronounced FY-bus) is President and Principal Analyst at FeibusTech. He is a well-recognized and oft-quoted expert on connected health and fitness, augmented reality/virtual reality, privacy and security. Feibus is also a regular technology columnist for USA TODAY and CIO Magazine. He is ranked in the Top 10 on Onalytica’s 100 most influential #HealthTech social media ambassadors. FeibusTech has been providing an unparalleled blend of technical depth, market insight and business savvy to the IoT, wearables and mobile client markets and technologies for more than 15 years. Feibus earned a MBA from Stanford University Graduate School of Business, Stanford, CA, and a BA in Economics from Tufts University, Medford, MA.